Grab your gears, put on your top hat, whack the monsters, and grab the treasure, with the power of Science! 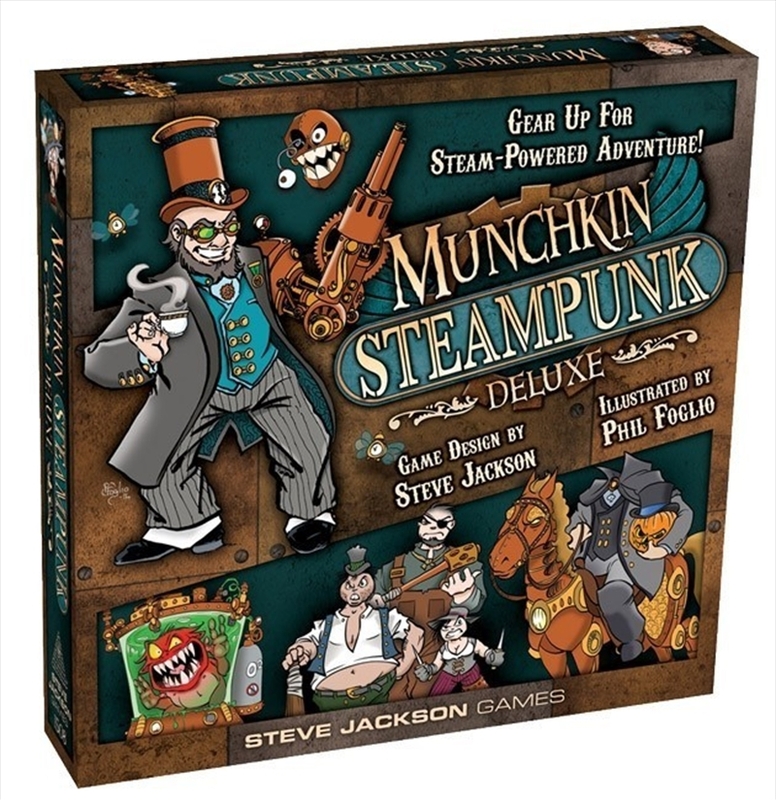 Munchkin Steampunk Deluxe brings the zaniness of Munchkin to the pseudo-Victorian steampunk era. Bully!